CXX On Track to Enter Niobium Market: Could Contribute 6% of World Supply? Cradle Resources (ASX:CXX) is a mining company going the extra mile by not only picking up its Project at the right time, but also, picking up a Project that is directly leveraged to the sci-fi age we now live in. To date, CXX has quietly gone about making project development progress for a relatively unknown metal called Niobium – a key component of metals alloys that facilitate steel production and used in highly-specialised functions such as particle accelerators and jet engines. Niobium’s unique properties have attracted a whole swathe of manufacturers in car making, steel making and electronics. With the demand-side looking rosy, CXX is looking to add the supply. 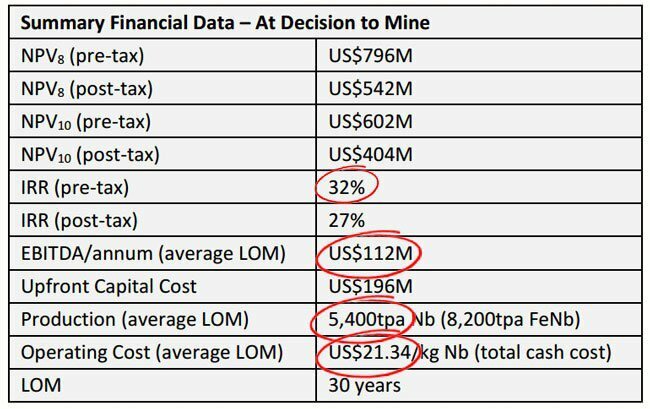 CXX now has a first-rate Definitive Feasibility Study (DFS) with which to source larger-scale funding and move into mine construction at its flagship Panda Hill Project in Tanzania. Recently CXX started front end engineering and design (FEED) work at Panda Hill , and it’s already identified savings. Partners, consultants, and service providers were appointed to the process, and the review found that the tailings dam for the project would cost less than predicted under the project’s DFS, with the amount of earthworks needed reduced, therefore reducing up-front costs for the project. CXX is now looking at constructing a mine, and its production footprint indicates that it will be able to contribute around 6% of the world’s total supply of niobium. That is a substantial number. However, before we go too far, it should be noted that for political and social reasons, this is a very high risk stock. Getting mining projects up and running in countries such as Tanzania is no simple feat, and there may be challenges ahead. If all goes to plan, CXX could be in production within 2 years. It is a plan backed up by analyst Edison who predicts CXX could be in for a significant re-rate as we’ll go into further into the article. Remember analyst predictions are no guarantee to come true and should not form the basis of any investment decision. The great news for investors is that CXX has solid investor backing, having raised $2.7M recently. 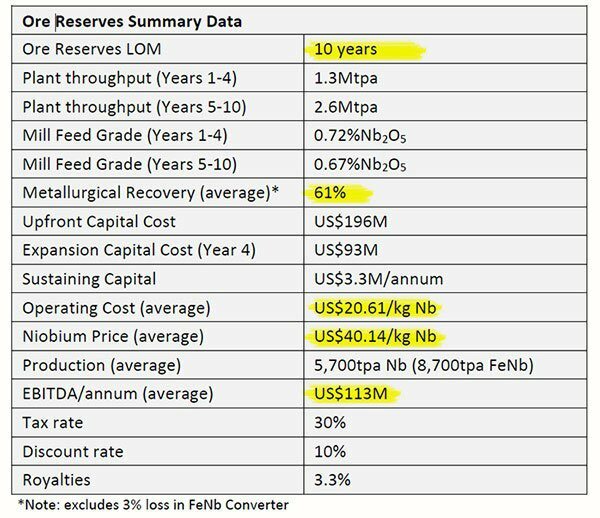 The highlights include a life-of-mine ore reserve of 10 years, a recovery rate of 61%, and an operating cost that is half the current niobium price. You don’t have to be a financial analyst to realise that CXX has a strong asset which could yield positive cash flow. We’ve had an eye on CXX since 2014, and now that it is approaching the business end of proceedings, it may only be a matter of time until the world learns of the newest addition to the niobium market. 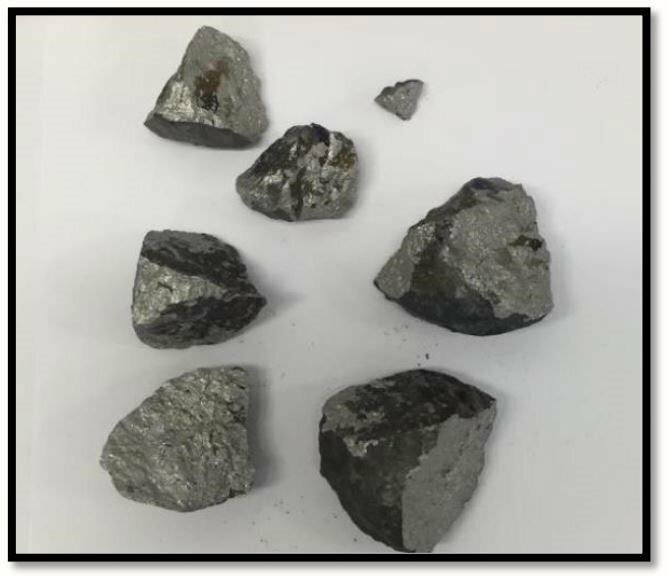 The last time a new niobium producer entered the fray was way back in 1975, so can CXX, currently capped at just $43M, break into this tightly held market at just the right time? 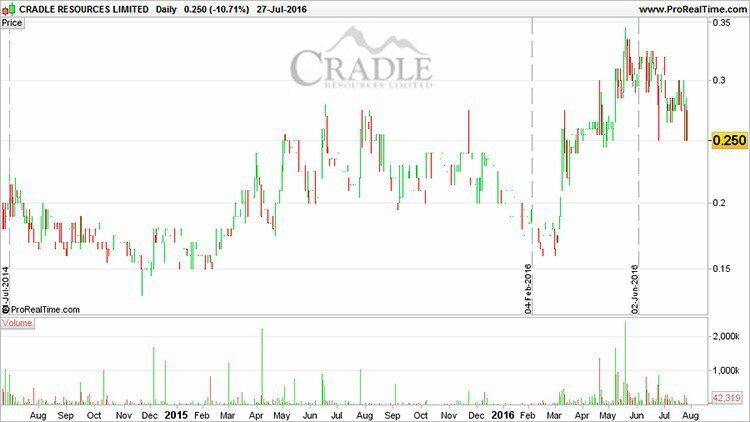 Cradle Resources (ASX:CXX) is on track to break into the niobium market over the coming 12-18 months. Judging by its DFS, CXX will be a relatively low-cost producer within a market dominated by one single firm based in Brazil — CBMM. 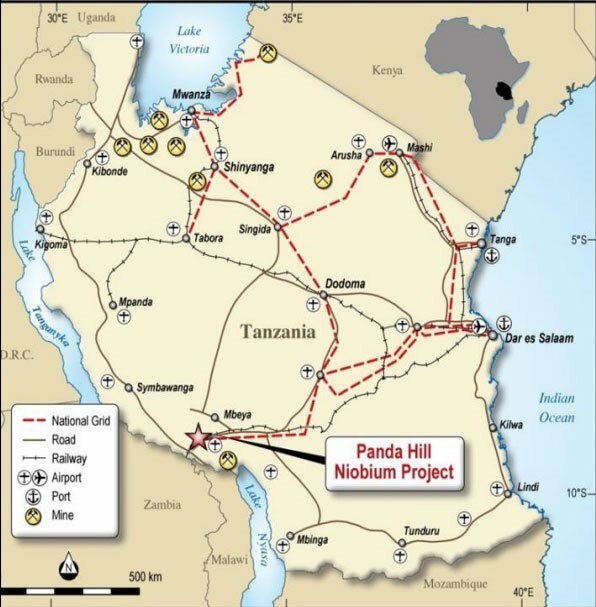 Should CXX successfully navigate its development of Panda Hill in Tanzania, it will either become a significant new niobium producer on the world stage, or alternatively, could attract significant takeover offers given the competition CXX poses to the few existing producers. We first alerted our readers to this stock in January 2014 in our article, “ Rare Ingredient in ‘Super Steel’ – Tiny ASX Explorer has Just Found Enough to Become the 4th Largest Global Supplier ”. In March this year, we again alerted our readers to CXX as strong exploration results set the stage for CXX to announce a bumper DFS . And last but not least, we published ‘ Is CXX the World’s Next Niobium Producer? ’ in June 2016. Even large billion-dollar spinoffs such as South32 are in the hunt for this space-age metal. With its DFS indicating a solid green light demonstrating the potential for long term profitable niobium production, CXX is now working overtime to get approvals to build its project infrastructure, and is seeking offtake and debt financing partners on the back of a recent JORC Ore Reserve. 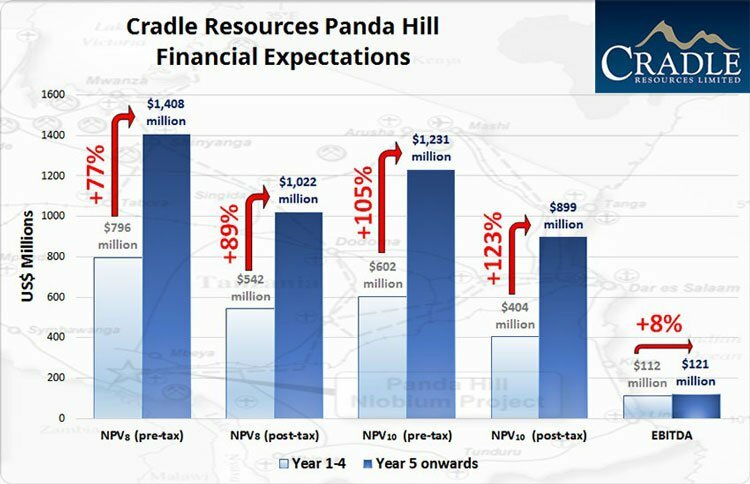 Cradle Resources (ASX:CXX) has been gradually putting together its case for niobium production at Panda Hill in Tanzania since 2014. CXX has had a craving for niobium since 2014. Earlier this year, after two years of meticulous project building, CXX received its DFS showing that Panda Hill is commercially viable. Here is a map of Tanzania one of the most low-cost mining areas in the world, which holds the Panda Hill project. CXX has been busy pulling together the required data to formulate an official DFS, which was published earlier this year. Here is the DFS summary, with the key metrics circled in red. If CXX manages to advance Panda Hill through to production, it is forecast to earn a pre-tax IRR of 32% and EBITDA of US$112MN (A$150MN). CXX has managed to prove up some superb economics at its Panda Hill Project including a 30+ year mine life, and highly positive financial returns, for a little known metal with strong demand. Panda Hill is a likely profitable 5,400tpa project with an extended mine life, which will eventually be expanded even further later down the track. UK analyst Charles Gibson of Edison is bullish about CXX’s Project and calculates a valuation of AU$0.70 per share up from the current share price of 26 cents. At the same time, there is no guarantee that CXX will go up in value based on this analyst report alone – always consider a range of factors before making an investment, including your own personal circumstances. 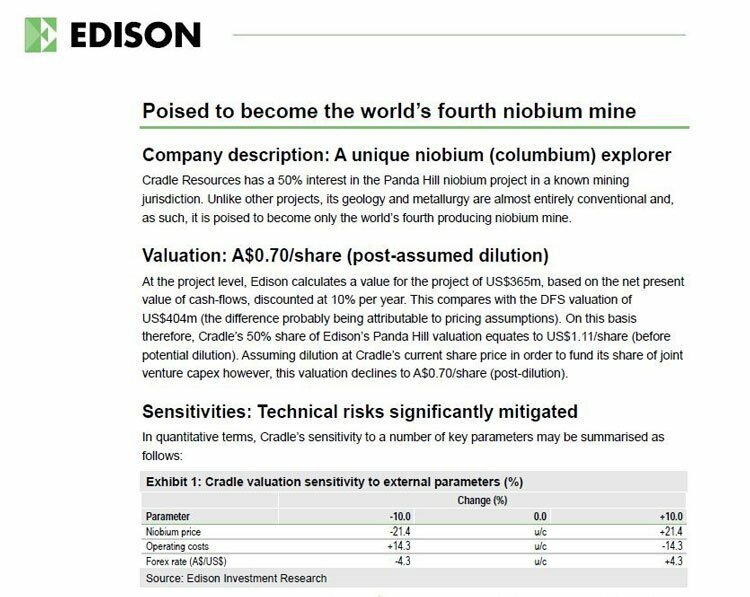 Gibson reiterates the point that CXX is close to crucial infrastructure and is entering a sector that has a ready appetite for risk diversification given that official supply of niobium is restricted to just three mines in Brazil and Canada. As you can see from the graph above, there was a steep incline before prices began to steady due to the stable relationship between buyer and seller. Edison believes the price will remain steady and display little volatility in the coming years, which is good news for CXX, which has recently celebrated a major exploration milestone. Having put a market down with its DFS, CXX has gone on to declare its maiden Ore Reserve at Panda Hill — a major exploration milestone that will now be factored into future exploration drilling. CXX has a 20.6Mt Reserve @ 0.68% Nb2O5 for a contained 140,000 tonnes of niobium. The estimated Ore Reserve assumes that Panda Hill will commence production at a throughput of 1.3 million tonnes per annum — and then expanding to 2.6 million tonnes per annum after four years of production. According to CXX, its NPV and EBITDA metrics should all show improvement in Year 5. This is speculation at this stage and no guarantee to occur, so seek professional financial advice if considering this stock for your portfolio. One important aspect to the CXX story is the involvement of Tremont Investments. Tremont is a private equity company that represents CXX’s largest single investor. Tremont and CXX have a 50/50 JV deal on Panda Hill. Tremont has recently raised its equity holding in CXX from 10.5% to 19.8% which indicates a strong level of confidence in CXX. Furthermore, a significant capital raise to the tune of $2.7 million was completed by CXX in June 2016. From a funding perspective, CXX is well placed with no further working capital required until project development funding. There is the outstanding issue of raising around $200MN to build a mine at Panda Hill, but this is intended to be raised with the help of institutional support and CXX’s stellar DFS. “a financing mandate has been executed with a leading European bank and discussions concerning debt financing and offtake agreements for the Project [Panda Hill] are ongoing and advanced”. Assuming CXX does what needs to be done, and gets a place at the global niobium roundtable, what kind of market will it be drilling into? Niobium is a relatively rare metal that is used as an alloy to harden and lighten steel. Most of the world’s production is used in pipeline construction and in structural steel. It may also be also found in MRI machines, particle accelerators, jet engines and pretty much anything that is big and made of metal. Carmakers are rubbing their hands with glee at seeing niobium applications spill into the consumer sector because fuel efficiency can be improved immensely. Less than 1kg of niobium is able to reduce vehicle mass by 100kg — far cheaper than other exotic materials such as carbon fibre which must be woven and baked in an oven, or aluminium which requires additional processing steps. Largely for this reason, the use of niobium has been increasing steadily since the 1950s. Take a look at the production acceleration over the past 30 years — it’s risen by over 700%. The vast majority of current consumption is from China, Europe and the US — for steelmaking and automobile manufacturing. Niobium’s properties are so unique, that when niobium is combined with tin or titanium, the resulting compound becomes a superconductor able to achieve immensely higher magnetic fields compared to existing alloys. Niobium is therefore a specialty metal and it’s even used in high-performance magnets at the hadron collider at CERN in Switzerland – the largest and most powerful particle accelerator in the world. 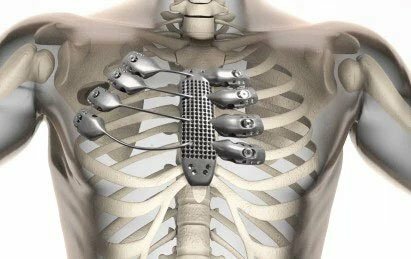 Almost overnight, we seem to be living in a world where metals are becoming an essential building block in many new devices, technologies, buildings, homes and even human organs . In a report titled, ‘ Global Niobium Market 2016-2020 ’ published in July 2016, ‘Research and Markets’ forecast the global niobium market to grow at a CAGR of 7.5% from 2016-2020 with the most highly anticipated growth industries being cars and steel. In many ways, niobium is the energy-efficiency champion of the metals industry. Builders are embracing niobium for its anti-corrosive properties, while carmakers are keen to optimise how heavy and fuel-efficient their cars are. Proceedings seem to be moving along rather nicely for CXX, now in mid-2016. With a DFS and updated Ore Reserve now in hand, CXX has also taken care of funding. Only at this stage will CXX have to go out looking for the $200MN it needs to build the necessary infrastructure. If CXX pulls the trigger on constructing a mine, its production footprint indicates that it will be able to contribute around 6% of the world’s total supply — a significant piece of the niobium pie. This is all speculation at this time and may not come to fruition, so apply caution to your investment decision and seek professional financial advice if considering this stock for your portfolio. With a bit of luck, CXX will attract several interested parties to help it take Panda Hill into production sometime in 2018. Considering the strong interest in niobium from several large players including South32 (ASX:S32), and the broader increase in both niobium production and consumption, CXX could be an excellent boutique metals play, at just the right time with metals markets improving across the board. 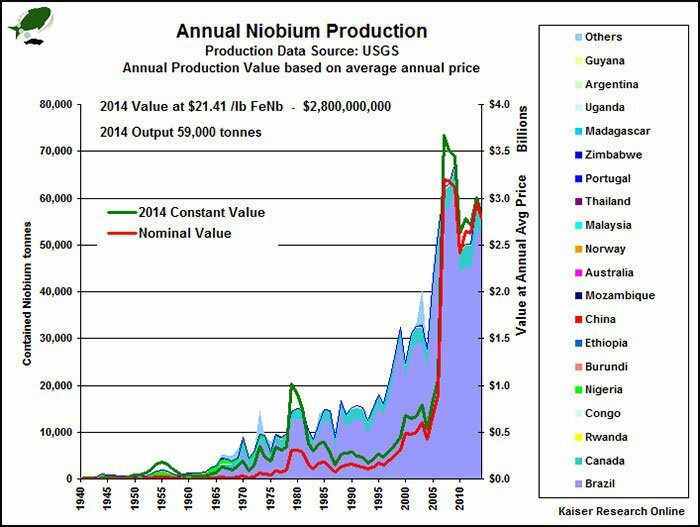 The digital revolution in combination with the indomitable rate of industrialisation in the developing world is putting a bid under several commodities right about now including lithium, graphite, zinc, cobalt and now, niobium. ...and that is just what investors like to see: an undervalued commodities opportunity, progressing nicely towards economically viable production and not forgetting to keep the spoils ring-fenced for its early adopters. Is CXX the World’s Next Niobium Producer?